With its 600 lush acres, two stunning beaches and near limitless photo opportunities, there’s a lot to love about Anse Chastanet Resort. 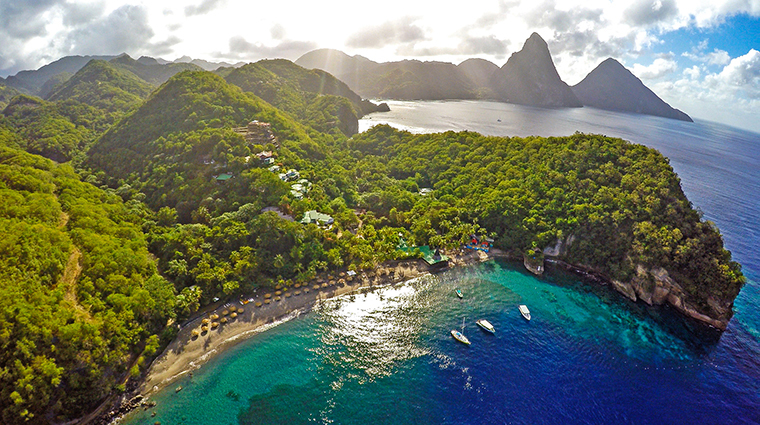 It’s a good thing then that the St. Lucian paradise in the midst of the jungle is offering a complimentary fifth night in its Hillside Deluxe and Premium rooms to those who purchase four. 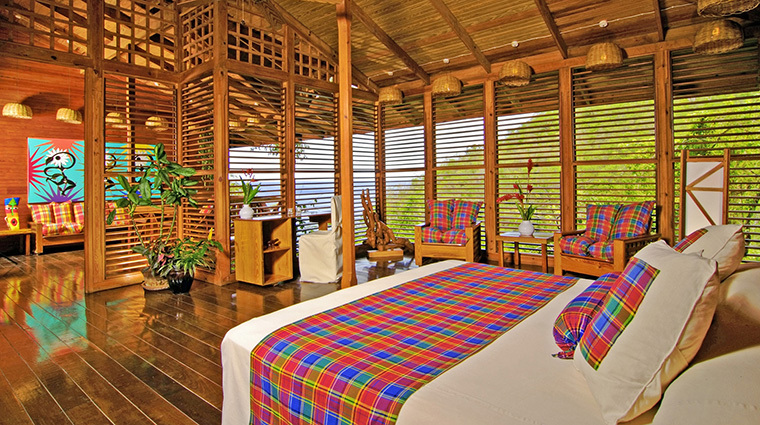 The views at the hillside Anse Chastanet Resort will blow you away. In a number of rooms, the fourth wall is removed, thereby thrusting you into the verdant St. Lucia jungle that surrounds the private 600-acre property. One room puts you so close to the UNESCO World Heritage Site Pitons that the twin peaks loom just beyond your living room, and you can even appreciate their beauty in the three-walled bathroom shower with the help of a strategically placed mirror. 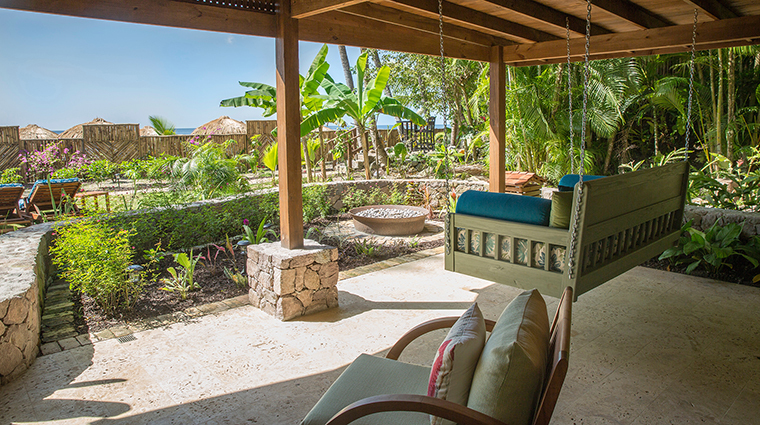 Another lets you gaze out over the deep-blue Caribbean Sea while you sway on your in-room swing. 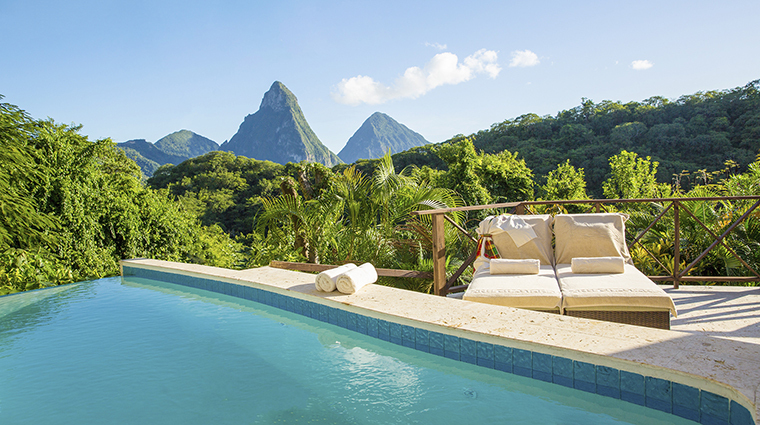 And yet another gives you Pitons vistas from your own 160-square-foot pool. 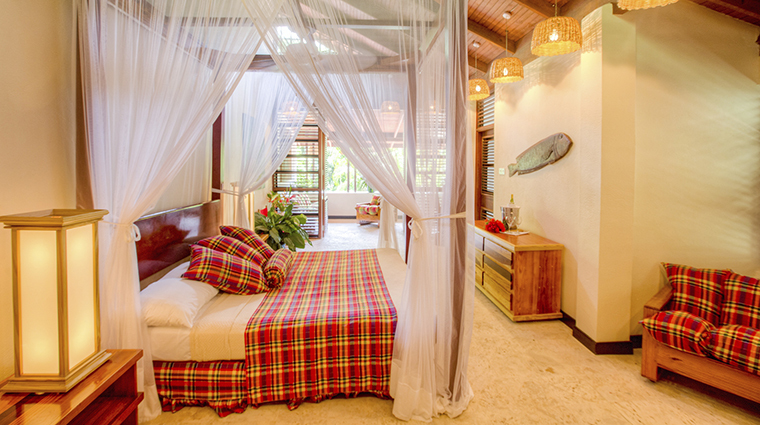 That immersed-in-nature feeling helps the individually designed rooms provide an authentic St. Lucian experience. But there are other touches: accommodations are filled with local wood (teak, mahogany, greenheart, red cedar, breadfruit), and bold-colored madras (a plaid-like cotton material) covers the bed pillows, sofa and light robe. 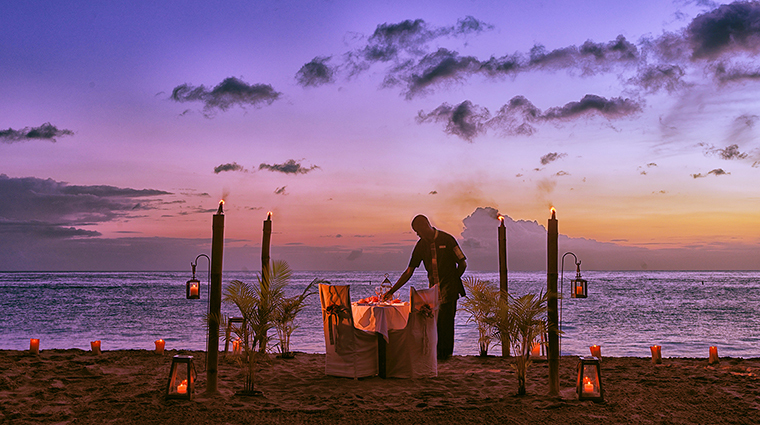 Make time to explore beyond the mesmerizing views, starting at the Soufrière hotel's two volcanic sand beaches. 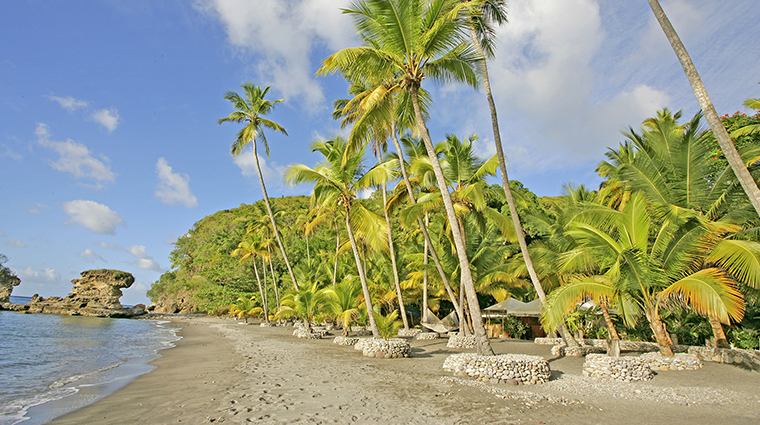 The popular option is Anse Chastanet beach, known for its great snorkeling and scuba diving. Anse Mamin is a quiet strip of sand where you can go hiking or bird watching along 12 miles of paths, see historical ruins from one of the island’s oldest sugar cane plantations or simply bask in the sun and solitude. The rooms with the missing fourth walls are the reason to stay here. They provide incredible views and have the most character among all of the accommodations. 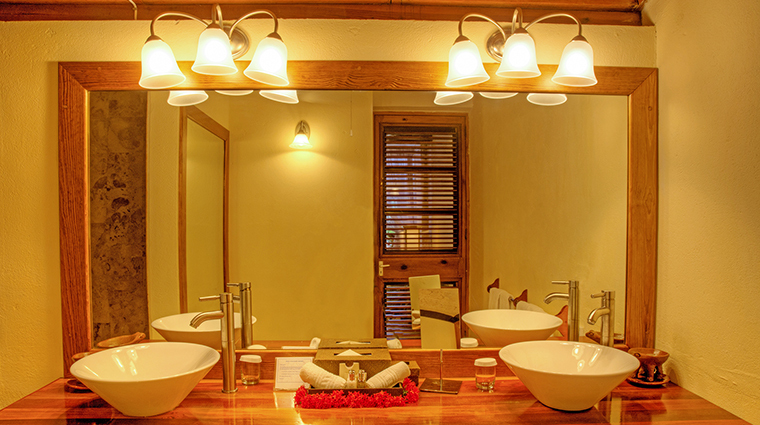 We’re partial to the spacious corner suite whose shower has equally arresting panoramas. If you can peel your eyes from the view, check out the art. German, Swiss, Dominican, British and Guyanese artists have work featured throughout the hotel. 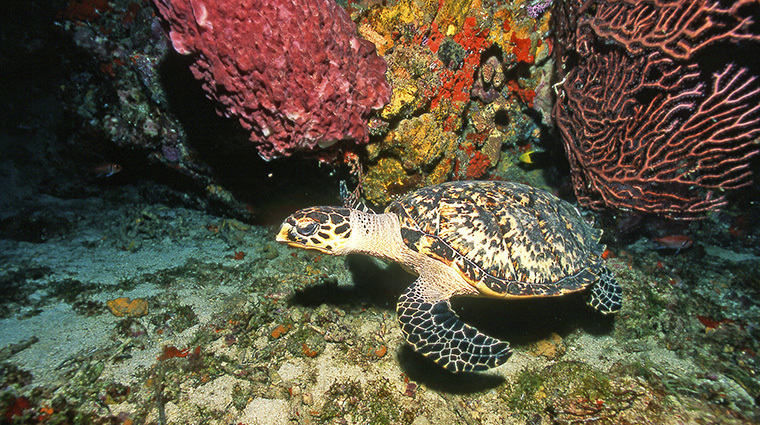 A marine reserve hides beneath the surface in the hotel’s bays. 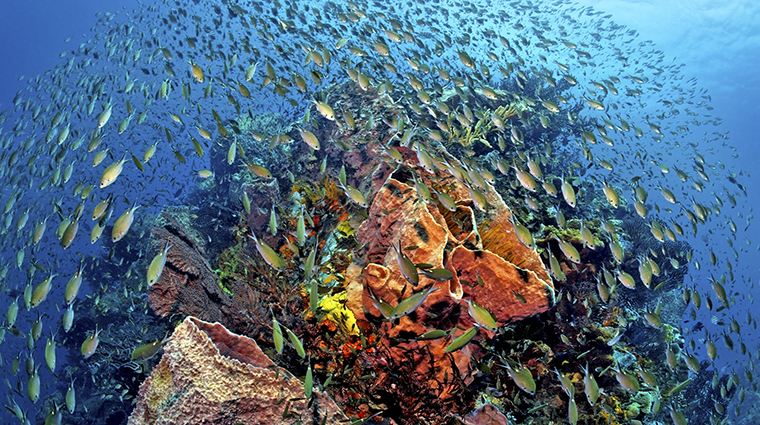 Snorkelers and scuba divers will want to dive in: Only 10 yards past the shoreline, coral reefs are home to more than 150 fish species. Seek out the Chocolate Lab at neighboring sister property Jade Mountain and pick up rich Emerald Estate chocolate bars flavored with chipotle or lemongrass. Craving more? 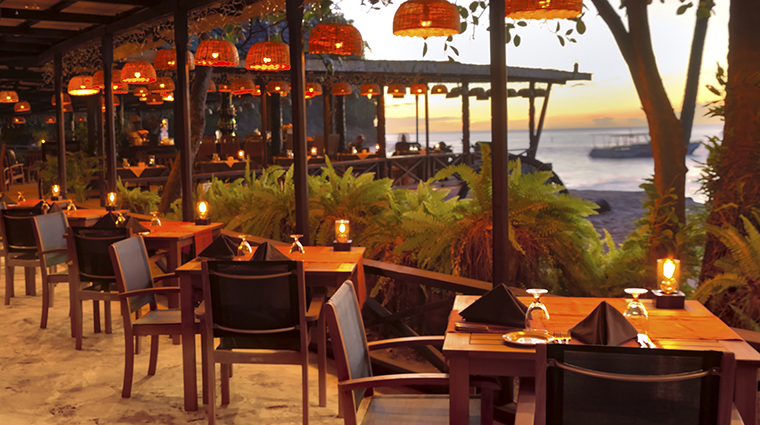 Sign up for Anse’s chocolate tastings, organic cocoa farm tours or truffle-making classes. Try jungle biking at Anse Mamin beach, the only spot to offer it on the island. You’ll be outfitted with a bike, helmet and map to hit the lush trails. 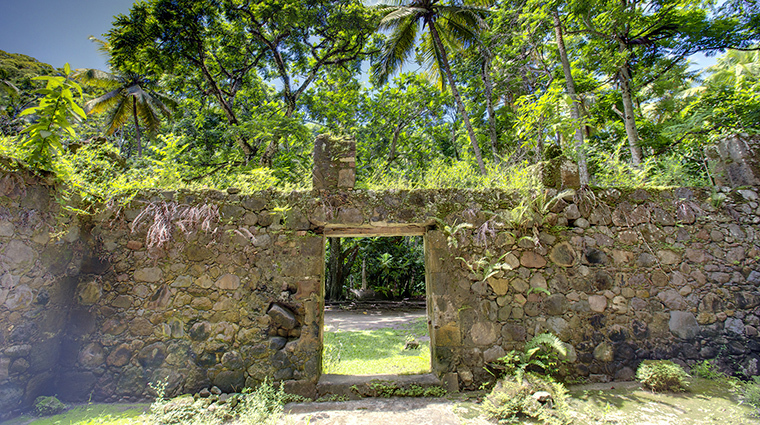 Or let a guide show you the sugar mill ruins, the “Stairway to Heaven” steps that lead to nowhere and a reservoir. The one-of-a-kind open-walled rooms are for adventurous travelers who don’t mind being out in the elements. If it rains, parts of your room may get wet. If it’s hot, you’ll only have a fan to cool you down. And at night, mosquitos will swarm around lights. But all accommodations come with netting around the beds, citronella candles and non-toxic bug spray. While the hotel offers a shuttle to go from the beach to the hills (where most of the rooms are located) upon request, there are 100 stairs leading from the sand. The back-and-forth can be strenuous on those who have trouble walking. The restaurants and lobby also are downhill from the rooms, so expect a steep stroll. 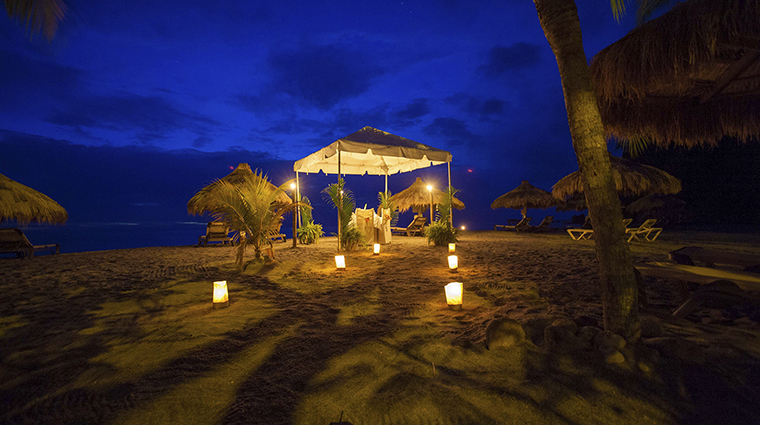 This luxury hotel is a romantic destination where couples can enjoy the quiet and focus on each other. 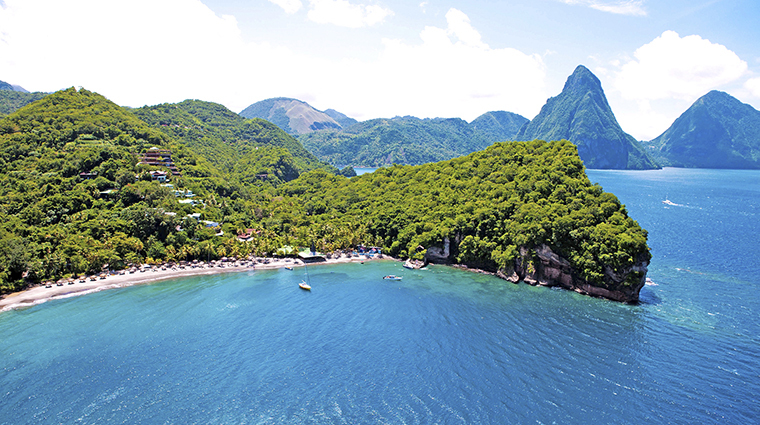 Since the focal point of the rooms is the fantastic vistas of the Pitons and Caribbean Sea, they don’t have TVs. But they do come with wifi. It’s a bumpy ride to the resort, so if you tend to get carsick, bring Dramamine. 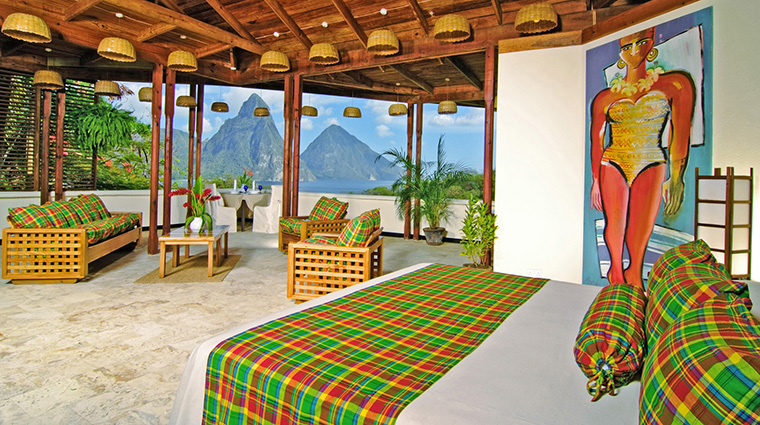 Eliminating a wall puts St. Lucia’s Pitons front and center in some rooms, but others have wooden louvre walls opening to balconies or patios. Everything from the throws on the beds to the sofa to the bathrobes is made of madras, the traditional bright plaid pattern of St. Lucia. 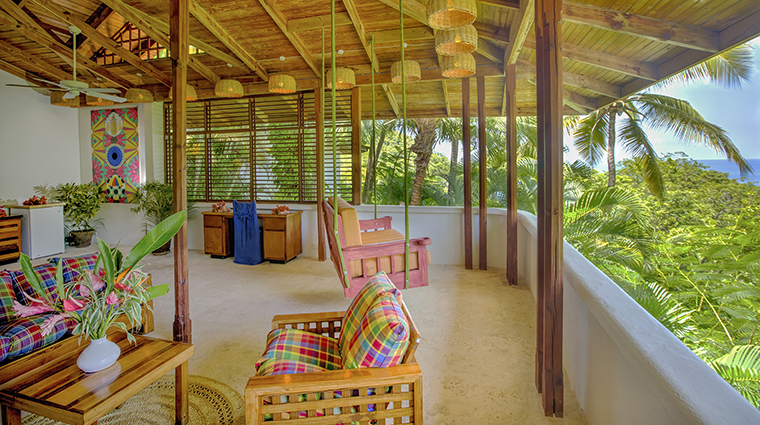 The handcrafted furniture is made of island woods, such as teak, mahogany, green heart, red cedar and wild breadfruit. No two rooms are alike. You’ll find whimsical options (one comes with a swing) and artistic spaces (Berlin-based Elvira Bach’s colorful paintings of curvaceous women adorned the walls in our room). All rooms have beds with netting, citronella candles and spray to keep bugs at bay, which is essential in the three-walled rooms. Escape the crowds by taking the complimentary boat over to the more secluded Anse Mamin beach. You needn’t bring anything but yourself — a staff member with set you up with chaise lounges and towels, and you can feast on satisfying burgers between two fried johnnycakes at Jungle Grill. You’ll find numerous culinary options, including Caribbean fine dining at the Treehouse, vegetarian at Emerald’s (the produce comes from the hotel’s own farm) and East Indian-Caribbean fusion at Apsara. 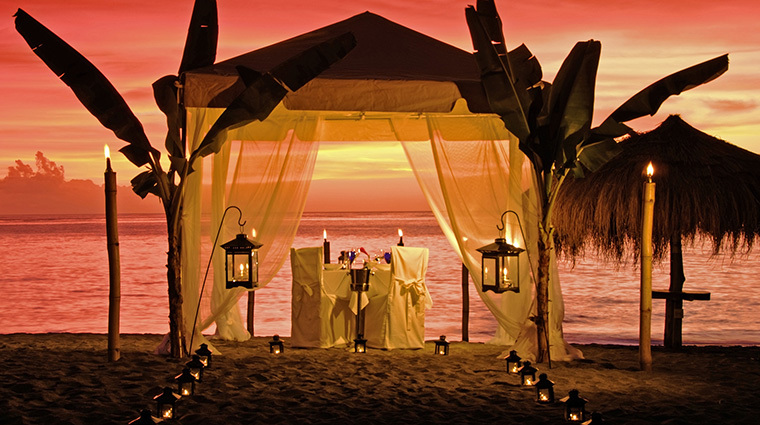 Take your romantic vacation to the next level by arranging a private candlelight dinner in a gazebo on Anse Chastanet beach or in utter seclusion at Anse Mamin. Chocolate has a long history in St. Lucia. Taste it for yourself in classes at the Chocolate Lab. Just don’t forget to purchase some bars for souvenirs. 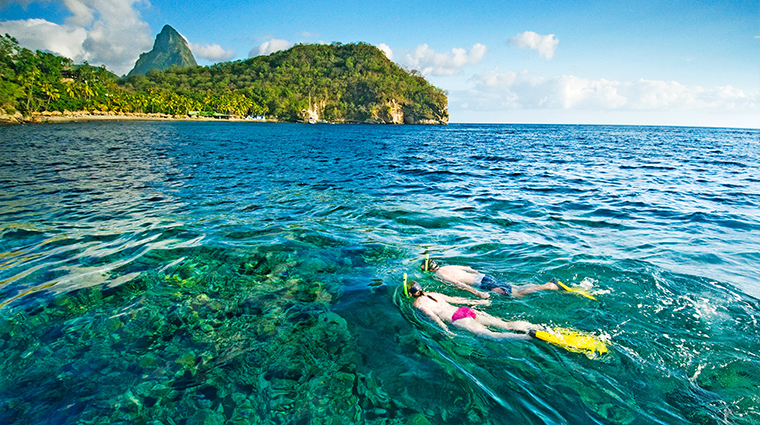 Anse Chastanet’s scuba center makes watersports a breeze with equipment rentals and free snorkeling gear right near the beach.